We’re going to travel the world! In January we announced our big plans to our friends and family and told our employer that we were going to quit our jobs. Since then, we are counting down till September. We have a global idea of the route we want to travel (see About) but as travel is more about the journey than about the destination, we are open for route changes if we feel like it. That is why, after considering all the pros and cons, over and over again (and again…) we finally decided NOT to book a Round The World-ticket. In the meantine, we booked our first flight: on September 11th we are heading to Nepal. As Nepal is the first destination, we have been reading a lot about it, places are starting to sound familiar, hiking to Mount Everest Base Camp is definitely on our bucket list and Nepal already slightly has stolen our hearts. In this light, we are even more strongly following the terrible news today about the earth quake that hit Nepal. Our heart and minds are with everyone who has lost someone or still is searching for beloved ones. We were thinking about supporting or volunteering in a humanitarian project along our trip, and this lets us think that Nepal might be the appropriate country to do so. As is our blog. We will use this to share with you our adventures, we are very excited and hope you will follow along! Good luck and a beautiful action you’ve planned to help out in Nepal. 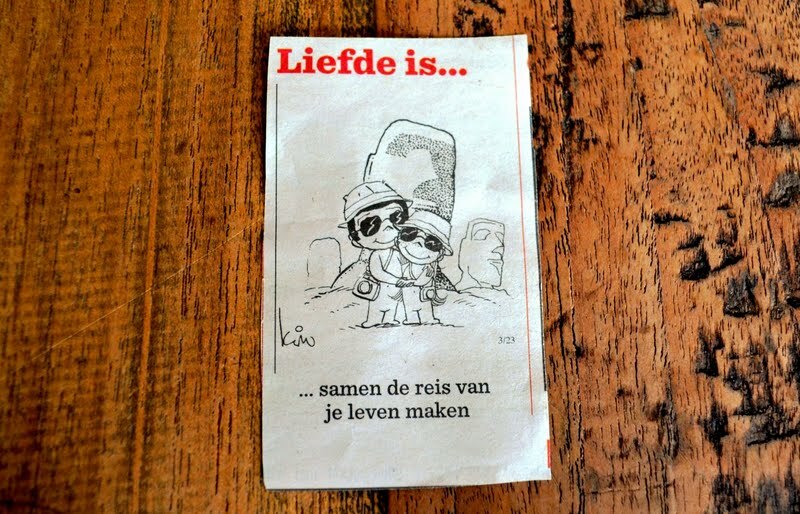 Wij zullen ook af & toe meegenieten van jullie avonturen.